Wetlands are ecosystems which hold water, either temporarily or permanently. Classified by number into five groups differentiated by their size, water-retention capacity, vegetation and other characteristics, these habitats provide a diversity of valuable benefits: improving water quality by filtering algae-causing phosphorus from runoff as it makes its way to our lakes; mitigating the effects of floods and droughts; storing carbon; and providing habitat for a myriad of wildlife populations, to name just a few. Manitoba’s wetlands are threatened. Across Manitoba, 70 per cent of wetland habitats have been drained, damaged or destroyed as a result of agricultural and urban development. 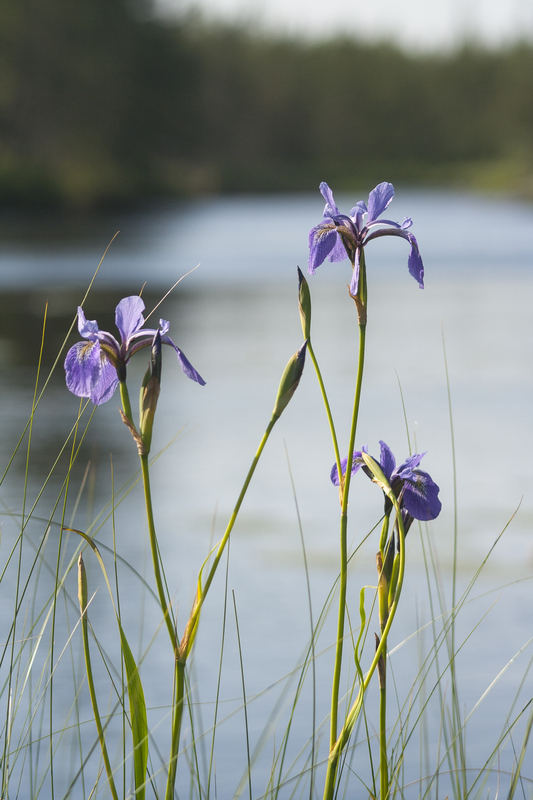 In June 2018, the provincial government passed the Sustainable Watersheds Act, enshrining in legislation the guiding principle of no net loss of wetland benefits and requiring compensation to restore the benefits lost through drainage activities. As proposed, amendments to the Water Rights Regulation will not meet this requirment and will likely result in accelerated wetland drainage. Proposed amendments remove existing protections for Class 4 and 5 wetlands, the drainage of which has previously been prohibited. This move contradicts a 2017 commitment made as part of the Made-in-Manitoba Climate and Green Plan to enhance protection for Class 4 and 5 wetlands and to extend new protections to Class 3 wetlands. The regulation’s compensation mechanisms are flawed. For example, drainage proponents can “compensate” for draining a wetland by signing an agreement not to drain another. This will result in a net loss of wetlands and wetland benefits across the landscape. The proposed registration process requires drainage proponents themselves to classify the wetlands they intend to drain to determine if a project is eligible for registration ($100 fee) or if it must be licensed ($500 fee plus associated compensation costs of $6,000 per acre). Inadequate decision-making support has been provided to ensure this process is effective, and to prevent conflict of interest for proponents who are required to choose between options with considerably different financial implications. No monitoring, auditing and/or evaluation processes are included in the regulation to measure its effectiveness or its ecological impacts. Manitoba Sustainable Development is entrusted with the responsibility to protect the quality of the environment for all Manitobans. This responsibility includes protecting our freshwater resources by protecting wetlands. Take part in the public consultation process or contact your MLA. Public input on the proposed Water Rights Regulation is being accepted until Saturday, Jan. 19. “I am responding to the request for input on the proposed Water Rights Regulation. Manitoba's government has publicly committed to protecting Manitoba’s threatened wetlands by adopting the guiding principle of no net loss of wetland benefits. This is a sensible and effective approach to water management. However, I am very concerned that the proposed regulation does not adhere to this principle and, as written, will actually result in further drainage of wetland ecosystems and a reduction in the many benefits they provide. A robust auditing program of both registered and licensed drainage projects, and evidence-based evaluation of ecological outcomes achieved. Remember to customize your comment as much as possible, and aim to be clear and concise with your message. Want to learn more about LWF’s position on the proposed Water Rights Regulation? Click here to read our provincial submission. Read our op-ed in the Winnipeg Free Press here.